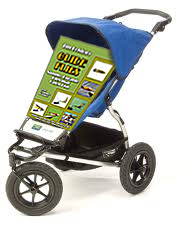 Well would you know it, I have a new baby. It has taken the better part of two or more years to get to this point, people might think that in-vitro fertilization is a long and troublesome process but with no real motivation towards fatherhood and with a natural human longing to leave something behind on my demise, I decided to produce a book, Ok another book so I should have known what I was getting into, but I never realised that the birthing process would make the gestation of the African Elephant seem like quick trip to the shops. In hindsight simple conception, even fertilization in a small glass tube might have proven less troublesome, had I managed to skip the glass tube bit it could have been a heap more fun too for that matter. If I had simply required some lasting acknowledgement of my existence I could have chosen to go with the now almost universal tagging option. Got hold of a spray can and scribbled my name in relative permanence on a variety of train carriages or roadside brickwork. It seems to work well for people like Banksy but then again it isn’t really that permanent and has the added disadvantage of being, to my mind at least, eminently anti-social, destructive and not really worthy of the epithet of “art”. It would however have had the allure of speed. I suppose I could have simply opted for a spray can to achieve some level of immortality. One might imagine that having done this previously in print and electronic formats, with publishers and without, well it would all be a piece of cake wouldn’t it? Alas writing a book isn’t the hardest thing on the planet, it is all the other stuff that goes with it that proves to be the troublesome part, particularly if you have perfectionist tendencies and are pedantic about things like graphics and video content. Yes there was a hiccup right there, having produced eBooks with video content previously (and probably a world first when it comes to fly tying tomes) I found myself rather backed into a corner, some people expressed their dissatisfaction with reading off a screen, wanting to hold and flip the pages, fold down the corners and all that goes with a “proper book” but then again they didn’t really want to miss out on the video bits. So this book includes a CD of video clips that you can read on your computer. 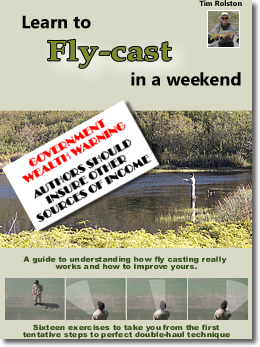 Having produced “Essential Fly Tying Techniques” in electronic format I ventured to produce this publication in similar vein, with a little more anecdotal information on the fishing and thought processes that go into the flies that I fish and use in my work. 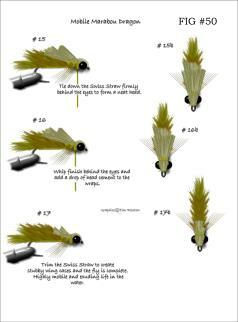 Simple, Durable Flies that Catch Fish, is what it says on the cover. 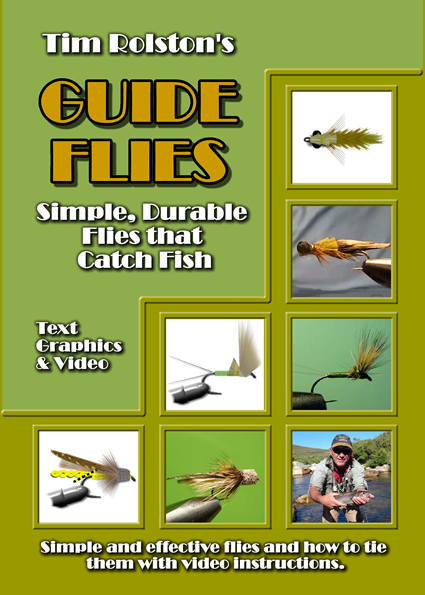 It says “Simple, Durable Flies that Catch Fish” on the cover. Once the decision is made the challenges come thick and fast, to go with photographs, easy in this digital age, or stay with the somewhat retro graphics option. 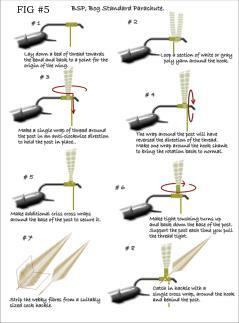 Firstly I like graphic drawings, they have more feel to them somehow compared to photographs, more to the point in a graphic you can clearly demonstrate the exact position of a single turn of thread and other such detail lacking in a photo, it is no mistake that authors such as Oliver Edwards used graphics in his exceptional “Oliver Edwards Fly Tyers Masterclass”. I like graphics over photo’s and that seemed a good enough reason for all the work. Trouble is that I am not an artist, certainly not with pen and ink anyway so digital graphics had to be the way forward, just that there is a steep learning curve if you want to do something as odd as try to draw peacock herl on a computer screen or convey the ethereal delicacy of a CDC plume. Some feathers had to be constructed fibre by fibre in painfully slow attention to detail. How on earth does one “draw” marabou, or crystal chenille? In the end it all proved to be good entertainment, if frustrating at times. Drawing things like marabou and crystal chenille posed something of a problem. Still that was all going well, I found myself a publisher in the form or Barbara Mueller at “New Voices Publishers” and Barbara proved to be a real asset, she, as the name of her business would suggest, specialises in assisting authors to self publish. Having been down the spectacularly unrewarding process of publishing a book with a recognised major publisher in the past I didn’t wish to follow that route again. It is galling in the extreme to see a book that you created with your own blood, sweat and tears sold where the government makes more money from the tax on it than the author gets from the sale. 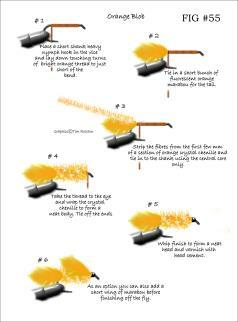 There were many further hurdles, how to set up a system where someone might purchase the book? It is remarkably tricky and the banks, despite their constant advertising for “entrepreneurial clients” actually close the shutters just as soon as you say the words “self-employed”. In the process it has necessitated rebuilding my website, learning some basic HTML code and more. I am not sure that it is entirely solved but it is mostly solved. 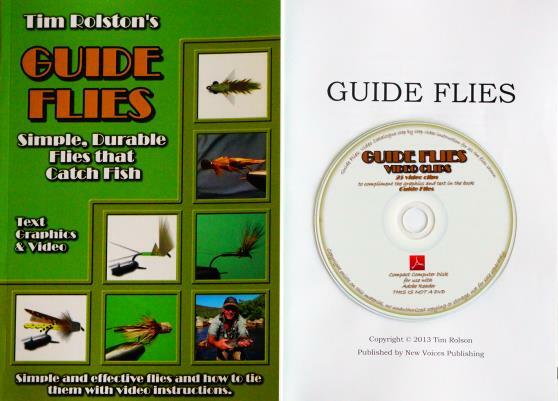 The book “Guide Flies” has been completed in eBook format for some time but now finally the glossy printed, page turning, corner folding, paper textured “real book” is available. Not only that but it comes with its own compact disc containing video clips of every fly in the book so even if you prefer to do your bedtime reading with nothing more electronic than a decent lamp you can still check out the tying processes on screen next time you return to the computer. I suppose it really is the best of both worlds when you get right down to it. 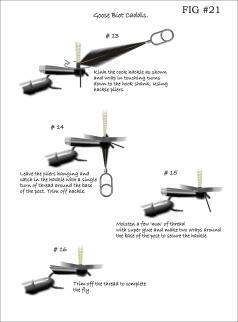 “Guide Flies” boasts some 150 pages, 60 odd full colour graphics, detailed descriptions of the flies, the tying process and perhaps as importantly the thought process behind their development. 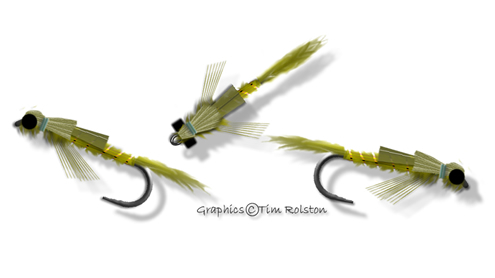 The CD has 25 video clips of fly tying covering everything from the torque of thread on a parachute dry to the ultra-durable “Super Glue Whip Finish” and effective fly patterns to cope with almost every trout fishing eventuality from stillwater to spring creeks. It has been a labour of love, a learning curve of stupendous gradient but I am well pleased with the result, in the end I suppose that “the proof of the pudding will be in the eating”, if not yours hopefully the trout’s..
Purchase from a fly fishing outlet http://urban-fly-fisher.com/ or www.streamx.co.za and hopefully more in due course. Would the real "DDD" please stand up.